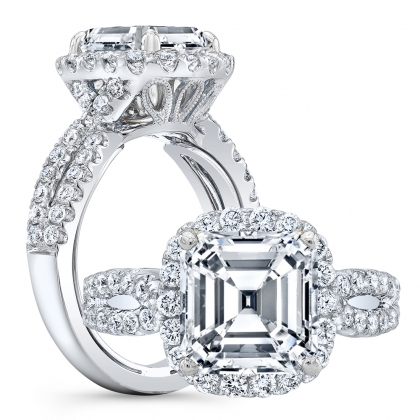 Halo engagement rings dazzle by surrounding the lead diamond with a “halo” of small, glittering gems. 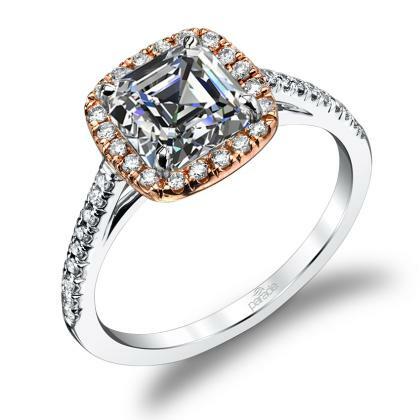 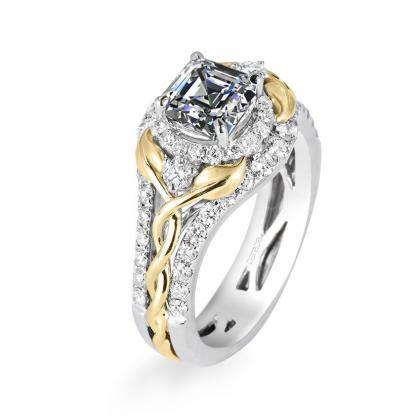 The effect is nothing short of breathtaking, and creates a ring that is irresistibly beautiful. 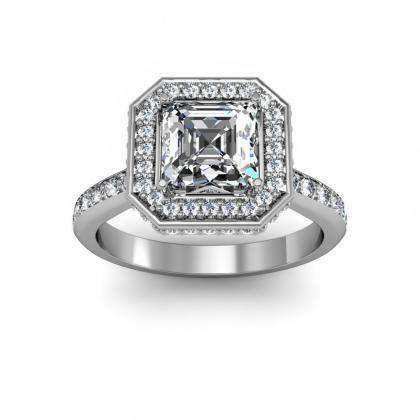 Best of all, halo rings offer plenty of opportunity for your individual tastes to shine through – pave, cathedral, split shank and double row styles can all be incorporated into a halo ring’s signature style. 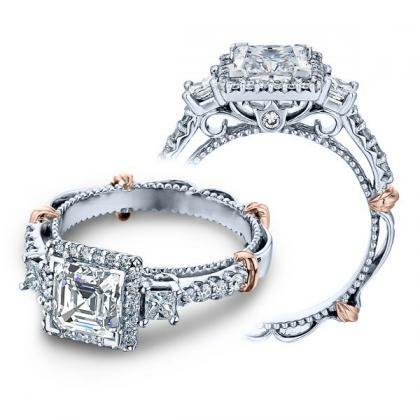 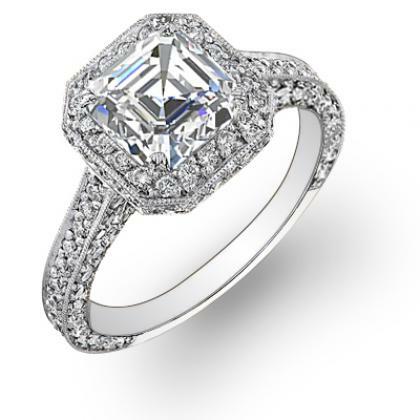 Because of their art-deco inspired style, asscher cut halo engagement rings are the ideal halo ring for women and men alike who appreciate the timeless artistry of the era and artistic movement, one renowned for its luxurious, tasteful fashions. 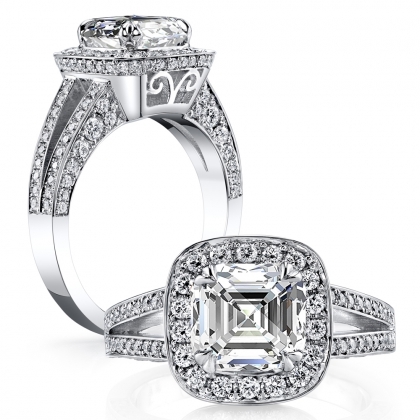 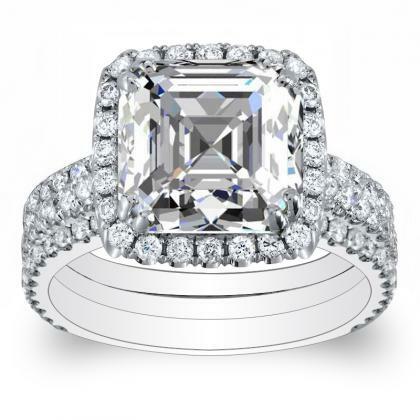 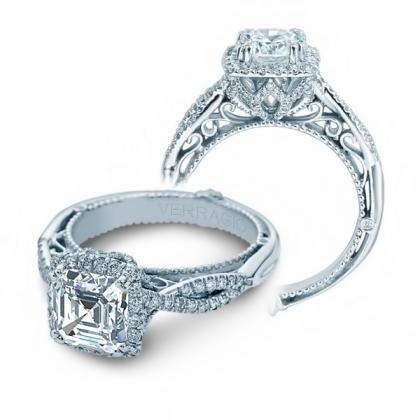 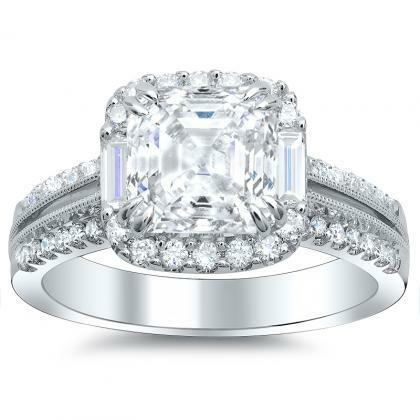 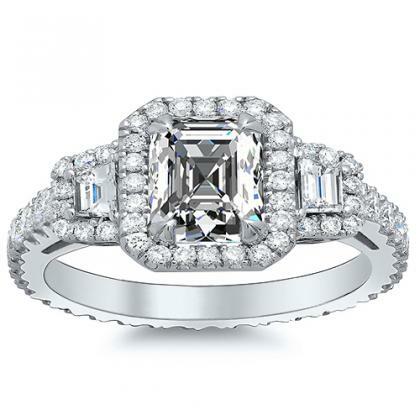 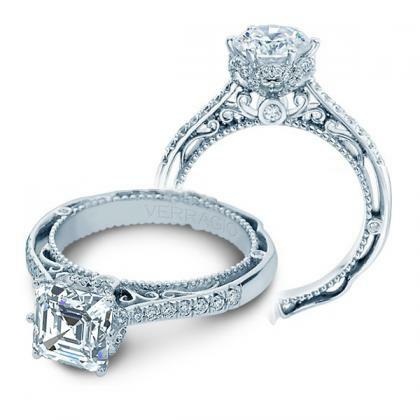 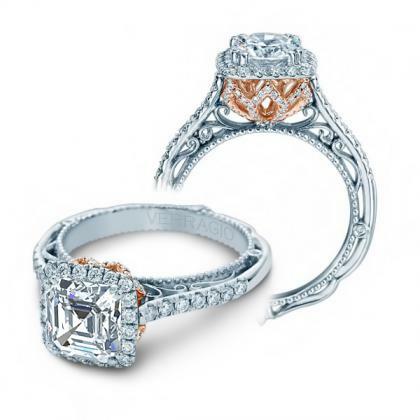 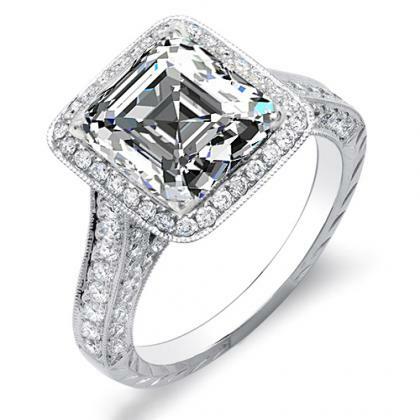 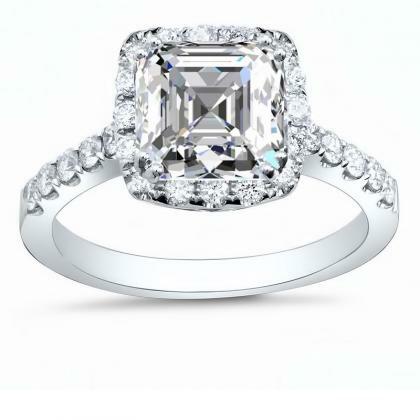 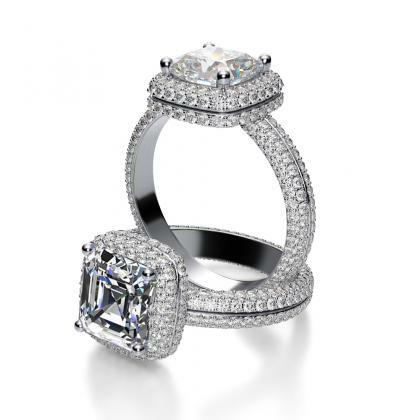 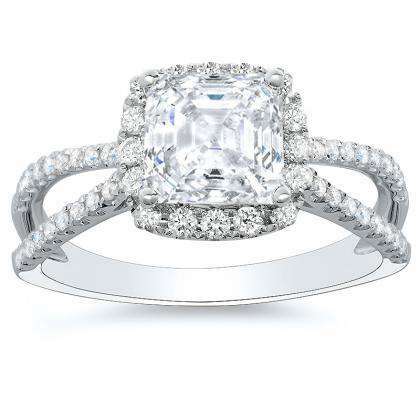 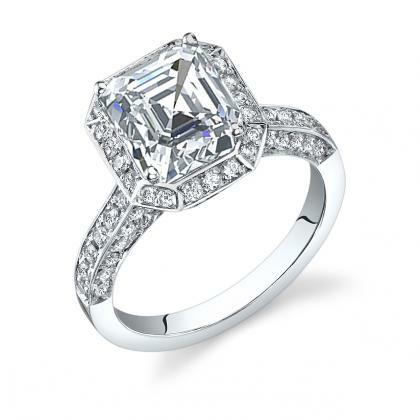 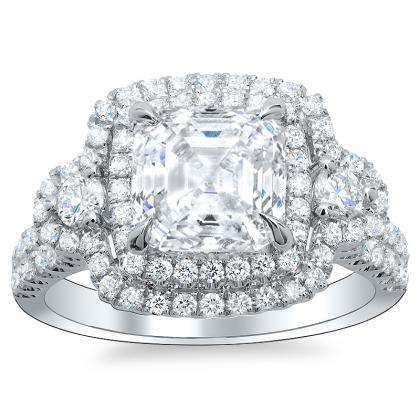 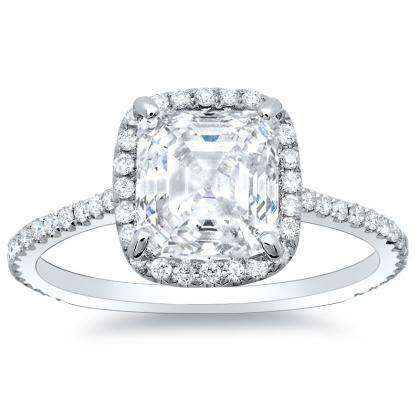 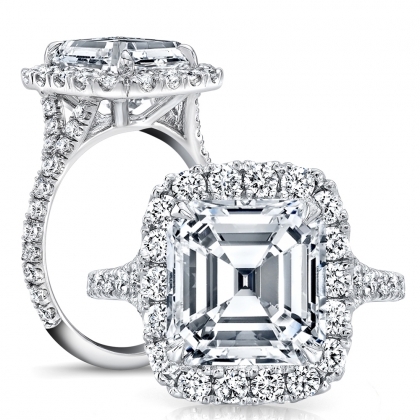 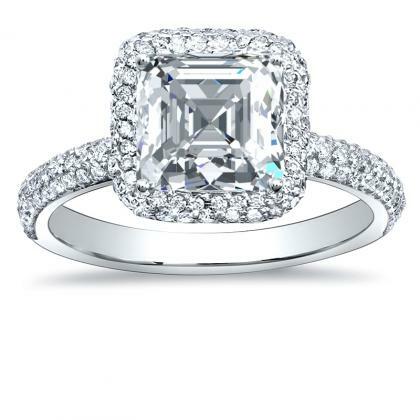 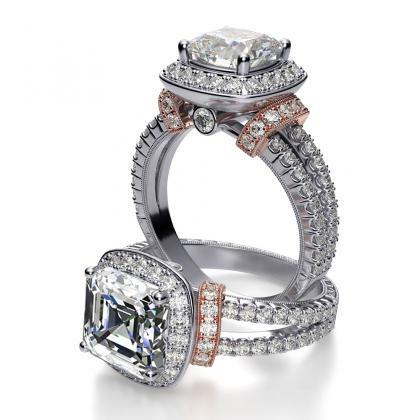 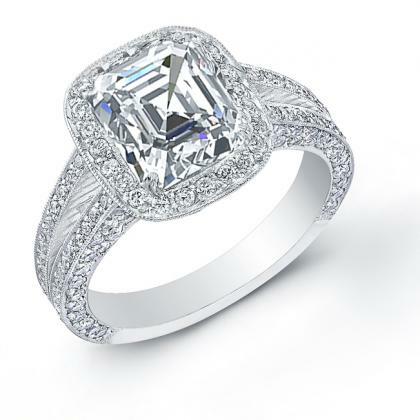 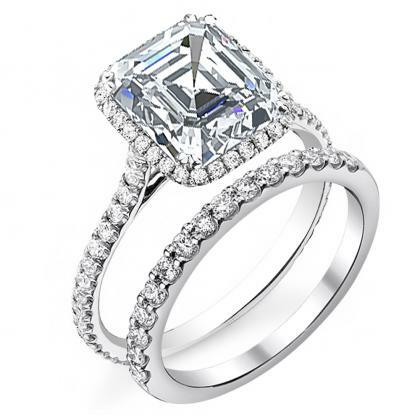 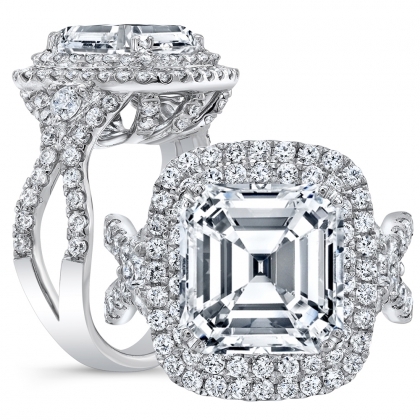 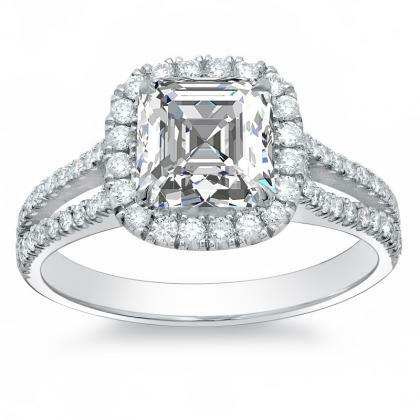 If you’re looking for Asscher Cut Halo Engagement Ring , Browse our massive collection below. 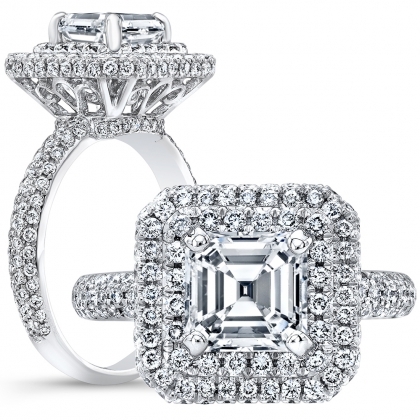 If you still don't find what you are looking for or want to customize a piece further, contact Diamond Mansion today. 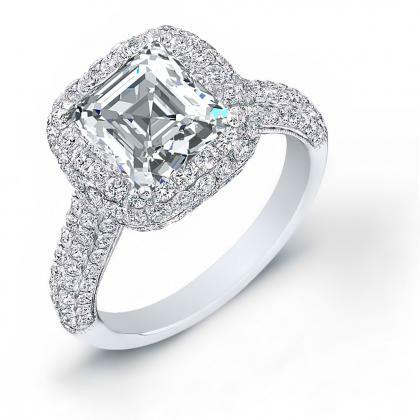 You’ll be put in touch with our team of diamond experts who are dedicated to ensuring every customer finds the perfect gem for their own tastes or those of their loved ones.